Ha! As promised, I am posting another vlog in rapid succession to the previous vlog. In fact, I am actually living up to the title of “Daily Elton John Piano Cover.” Today’s cover is Border Song, the seventh song from Elton John’s self-titled album. Border Song was Elton’s first song to chart in the U.S. getting all the way up to number 92 on the Hot 100. 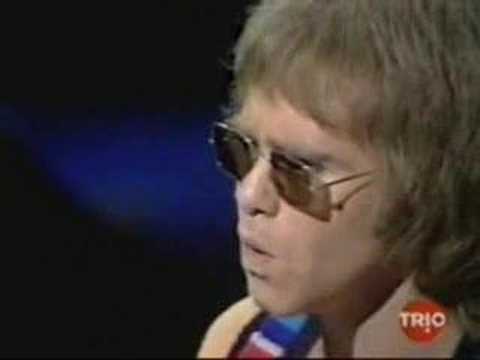 The song also made it to number 34 on the Canadian charts which marked Elton’s first time on the charts in any country. The song is one of Elton’s first use of gospel balladry. I really enjoy when he writes with a gospel feel because his forceful piano playing really accentuates the gospel groove. This song contains a Paul Buckmaster string arrangement, though much less significant than the one in Sixty Years On. And, the album cut also utilizes a choir to enhance the gospel feel. This song is most often played by Elton onstage without his band. The solid bass line of the song sells itself brilliantly from Elton’s nine-foot grand piano. The lyric fits well into a gospel song, or rather the gospel music fits well to the lyric. It is about alienation and bigotry. Though most of the song was penned by Bernie Taupin, Elton actually wrote the last verse which most supports the theme of bigotry. I hope you enjoy my rendition of Border Song!